According to the Halifax , the average price of a typical first home has jumped by 39%, from £153,030 in 2008 to £212,473 in 2018. It said terraced houses, followed by semi-detached properties, were the first-time buyer’s home of choice over the past decade. In north-east England the average first-time buyer home was £126,104 while in Northern Ireland it was £129,615. 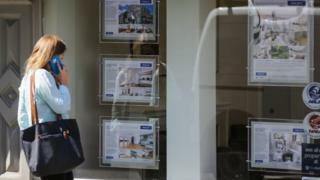 Jackie Bennett, director of mortgages at UK Finance said competitive mortgage deals and government schemes such as Help to Buy continue to boost the market for first-time buyers. Brent, in London, was identified as the least affordable area, with first-time buyer property prices at 13.3 times local earnings, followed by two other areas in the capital – Hackney and Newham. Oxford was the only place outside London among the top 10 least affordable areas for first-time buyers, where average prices were nearly 11 times local earnings.